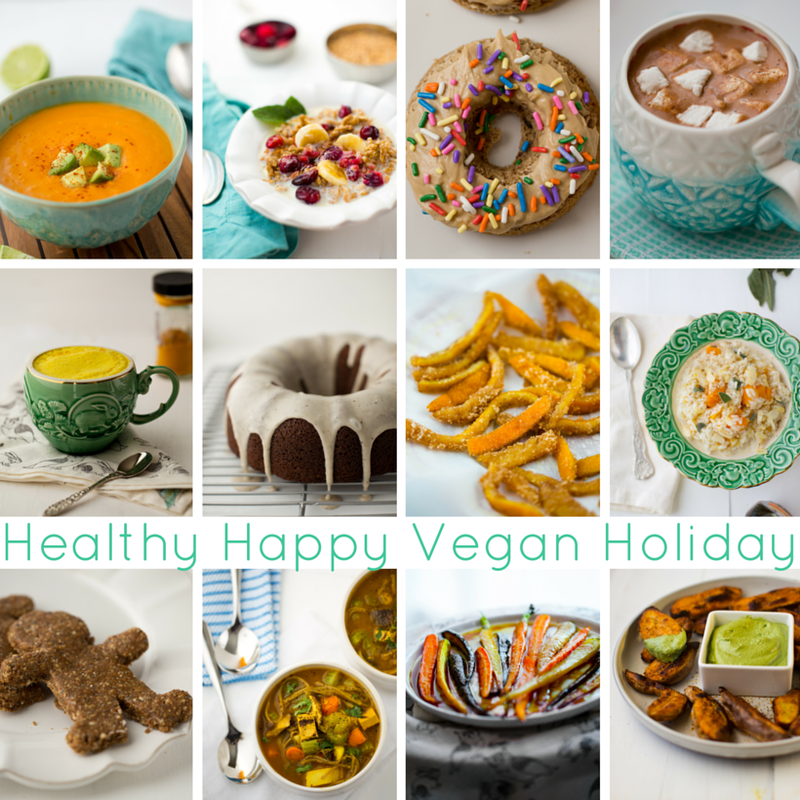 There are plenty of seasonal offerings in my latest book Healthy Happy Vegan Kitchen, (which makes a great holiday gift btw.) But instead of sending you on a treasure hunt through the pages, I have done the work for you. These are my favorite cozy, festive, delicious recipes to make this December. 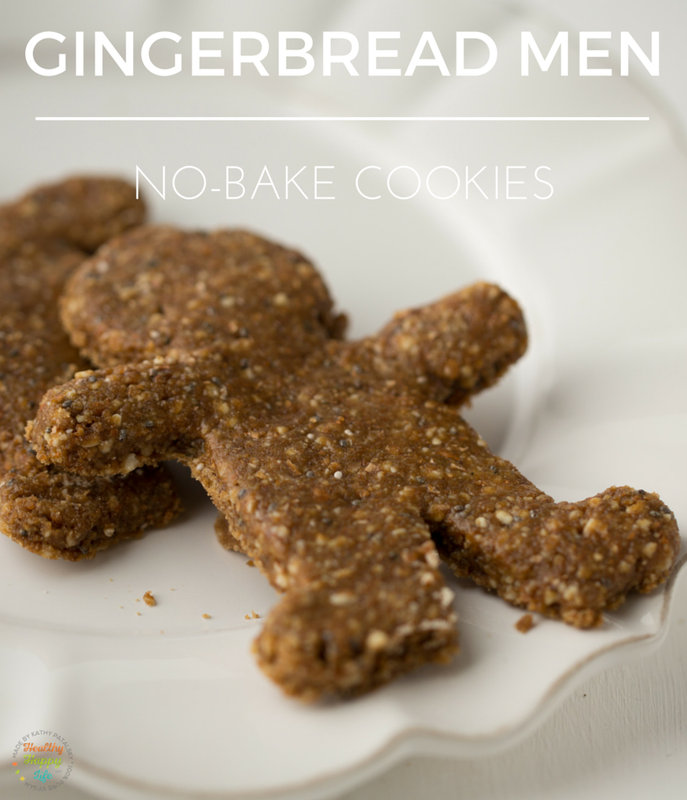 So click through to check out my HHVK Holiday Recipe Selections - all with giant, lovely photos. 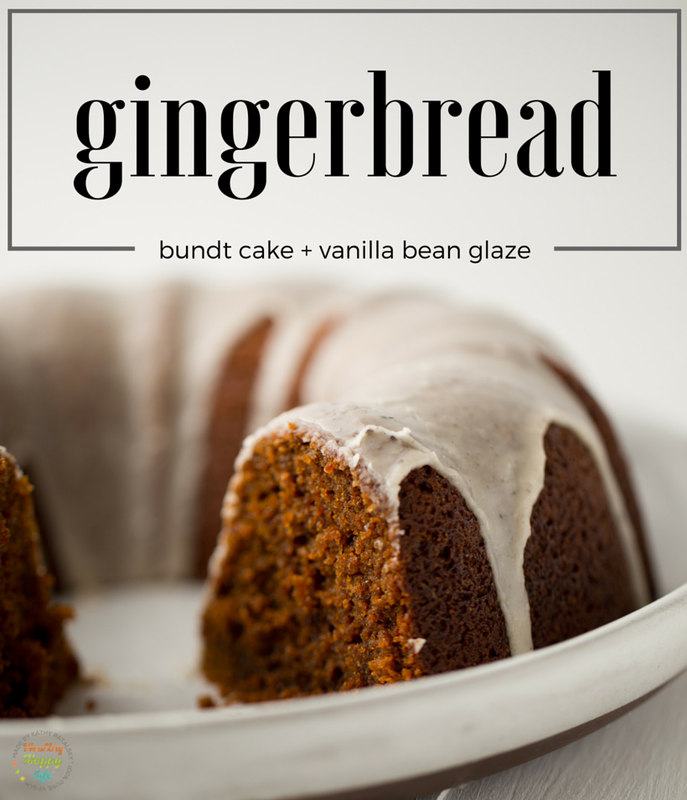 I am also sharing a book recipe in this post - for my Gingerbread Bundt Cake with vanilla bean glaze. Plus, a little holiday giveaway to say thank you for a beautiful year - enter to win TEES + GOODIES from me, 5 winners!.. 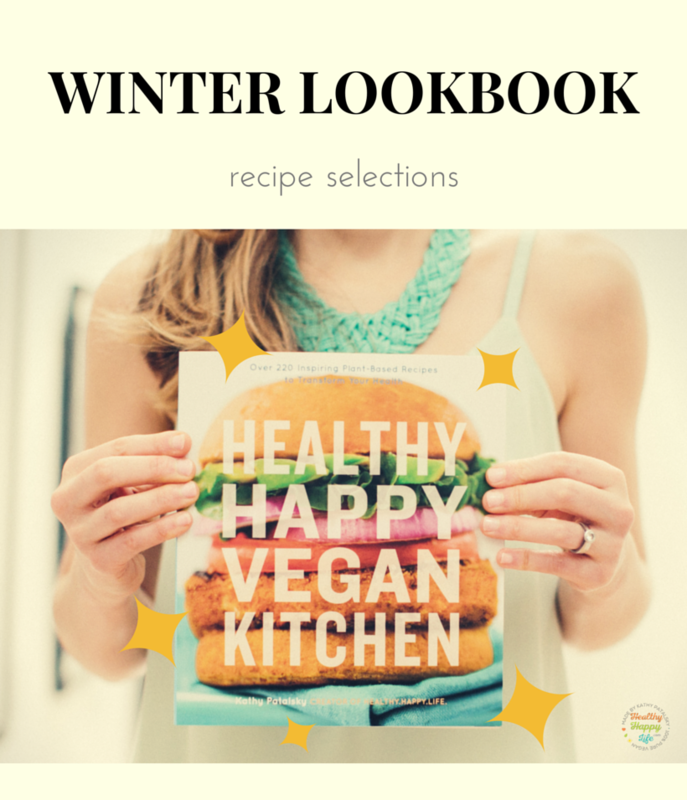 Get the LOOKBOOK, featuring recipes from Healthy Happy Vegan Kitchen. Browse for inspiration or send to friends to inspire them to try a few vegan recipes this holiday season. All these recipes can be found in my book Healthy Happy Vegan Kitchen . Read reviews by top food bloggers here. 2. Buckwheat Beauties. 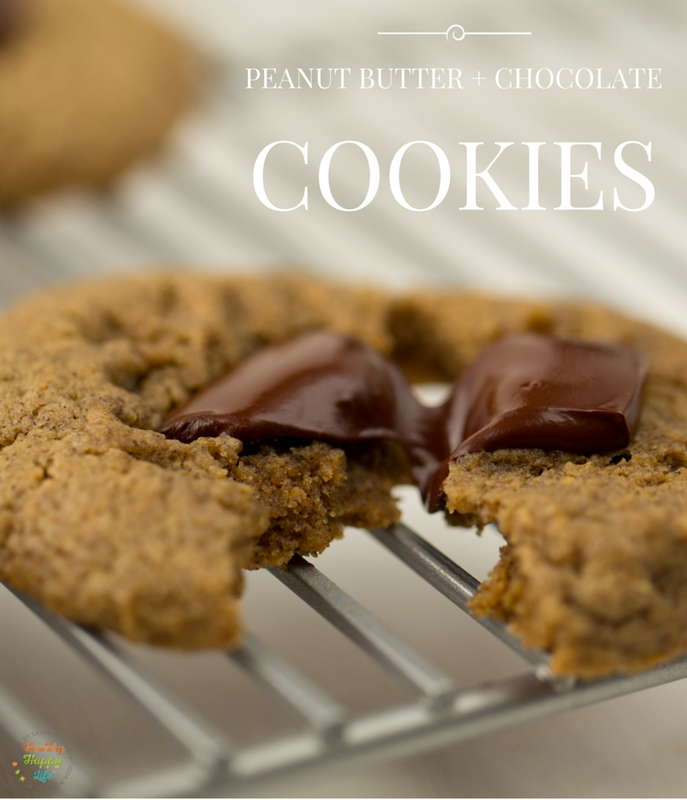 These peanut butter and chocolate cookies are lovely as a holiday cookie for parties. 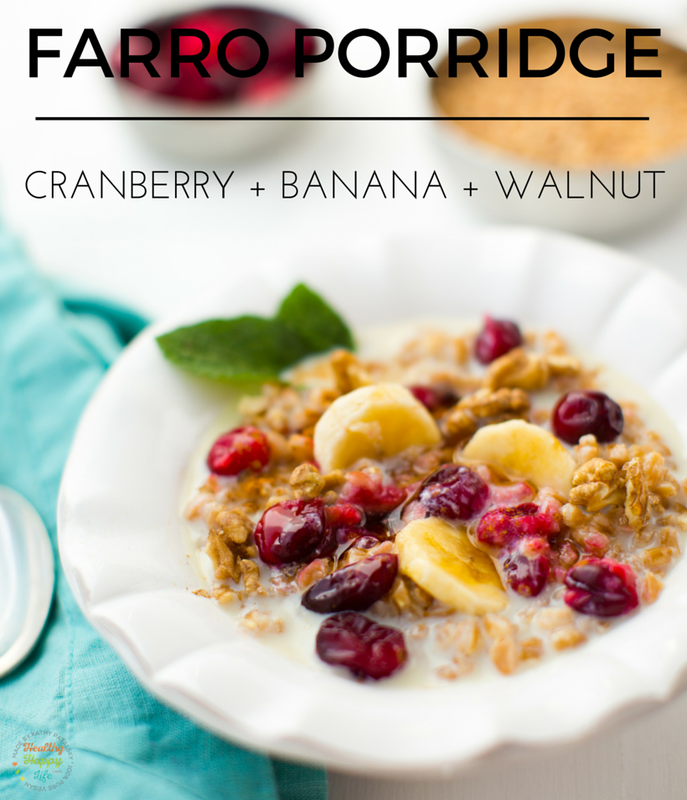 These have a healthy-delicious spin on the recipe. Recipe page 290. 3. Potatoes for Dipping. 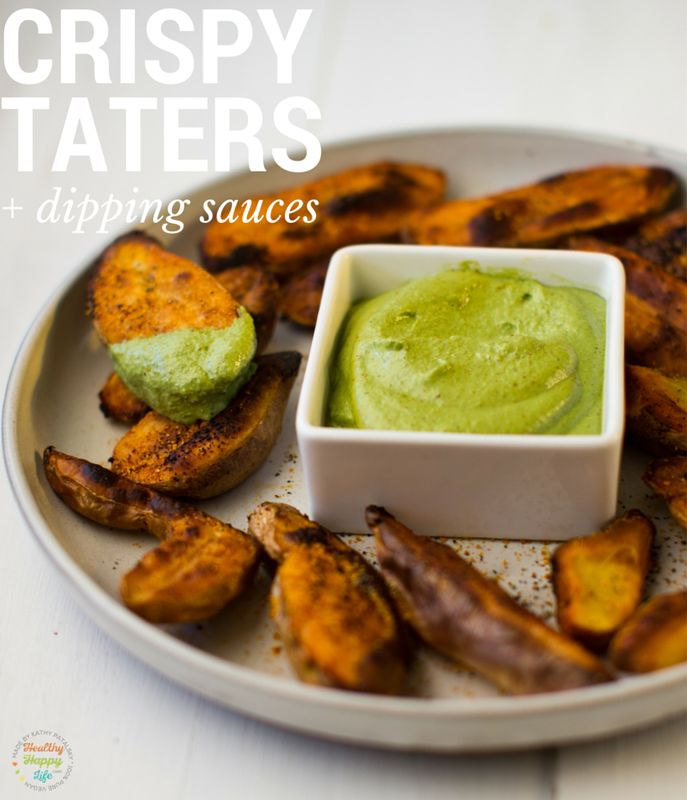 These crispy, oven-baked potatoes and dipping sauces are the perfect winter time snack! recipe page 138. 6. Apple + Jack. 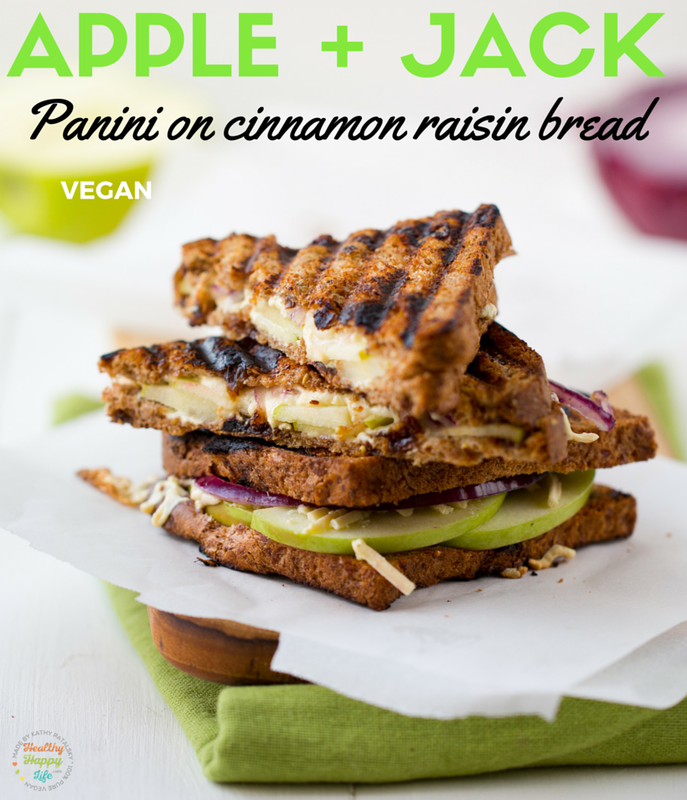 This vegan apple and jack panini on cinnamon raisin bread is a cozy lunchtime favorite! 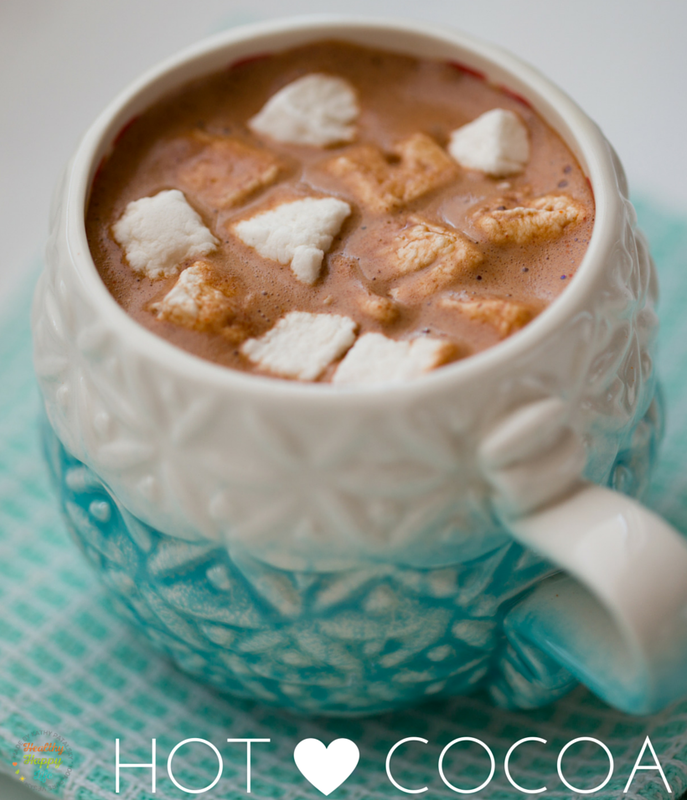 Save this one for a rainy or snowy day! Recipe page 100. 7. Sweet Potato Soup. This is a go-to soup for soup season! 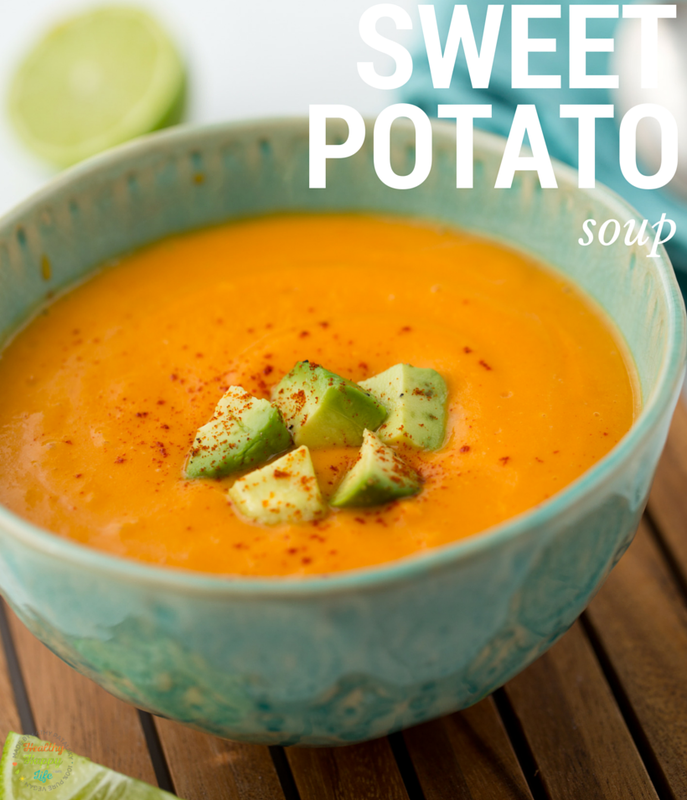 Warming chipotle sweet potato soup with avocado is a fast and east recipe that everyone will enjoy. Recipe page 256. 8. Whip. This is a must-try for any whipped cream lover! 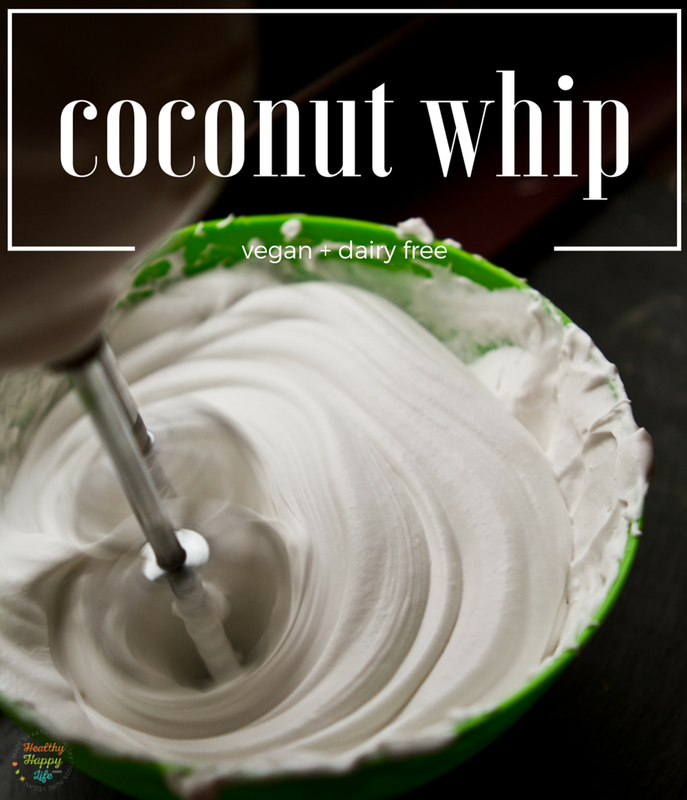 I add this coconut whip to holiday lattes and of course pumpkin pie! recipe page 304 -- and my pumpkin pie recipes are pages 304-305 too! 9. Pot Pie for One. I love pot pie dinners, but sometimes I do not want to make a giant pot pie. I just want one serving for myself. 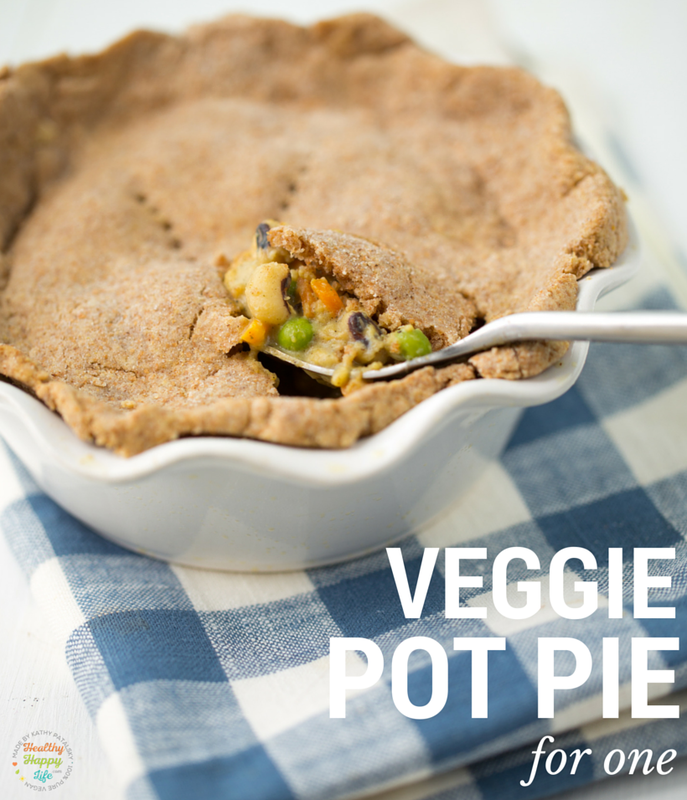 Well this mini pot pie is the answer! Creamy, savory filling and a buttery vegan crust. Recipe page 218. 10. Risotto. This my favorite risotto recipe. 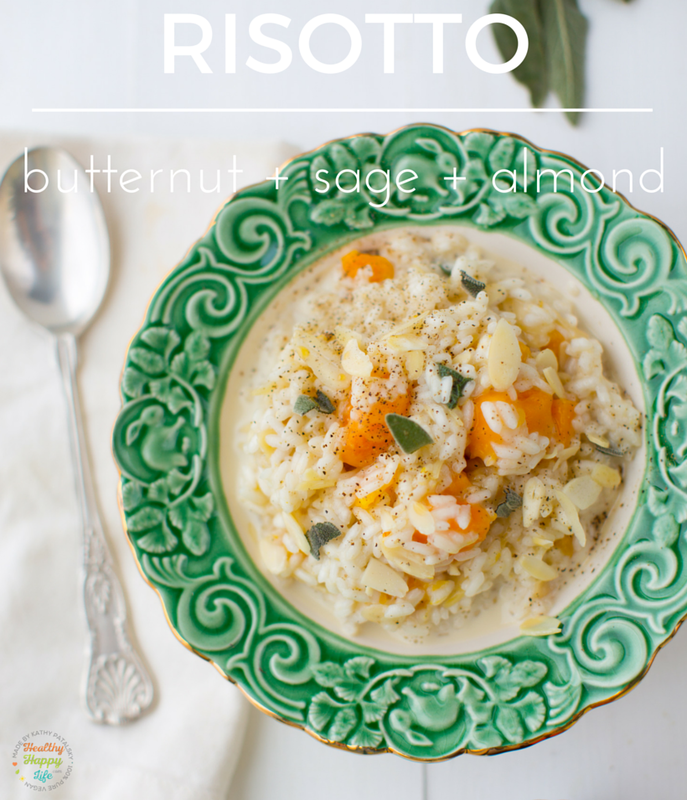 Butternut squash, almonds and sage blended into creamy arborio rice. recipe page 240. 11. Side. 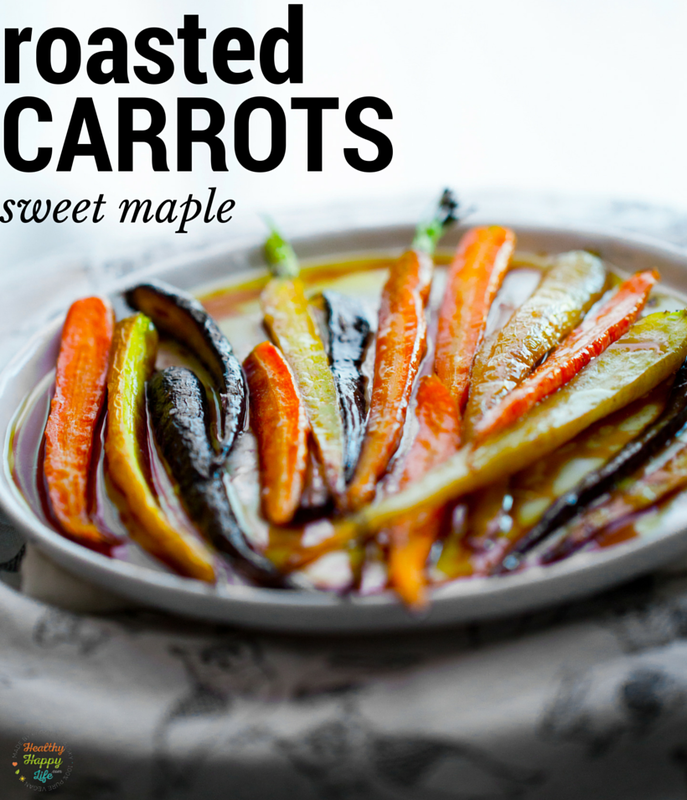 I love these sticky sweet roasted carrots served as a side dish at a festive dinner. Or nibble them anytime as a veggie snack. They taste like candy too! Yes veggies can taste THIS good. Recipe page 130. 13. Green Beans. 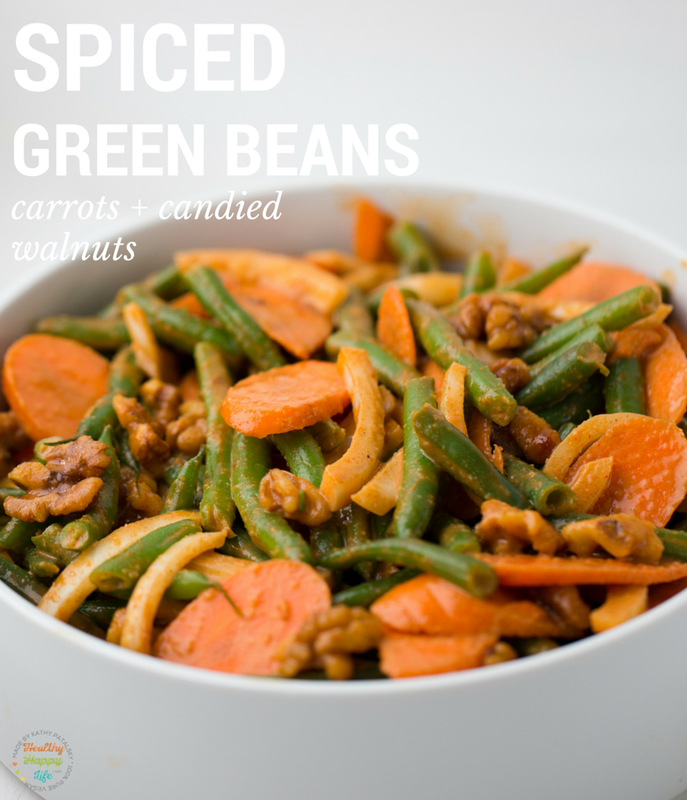 This smoky paprika green bean salad with candied walnuts and carrots is a feisty spin on a normal "green bean side dish." If you love bold flavors, give this salad a try! Recipe page 170. 14. Wellness Soup. Pass me a big bowl of steamy, brothy noodle soup when I am not feeling my best. 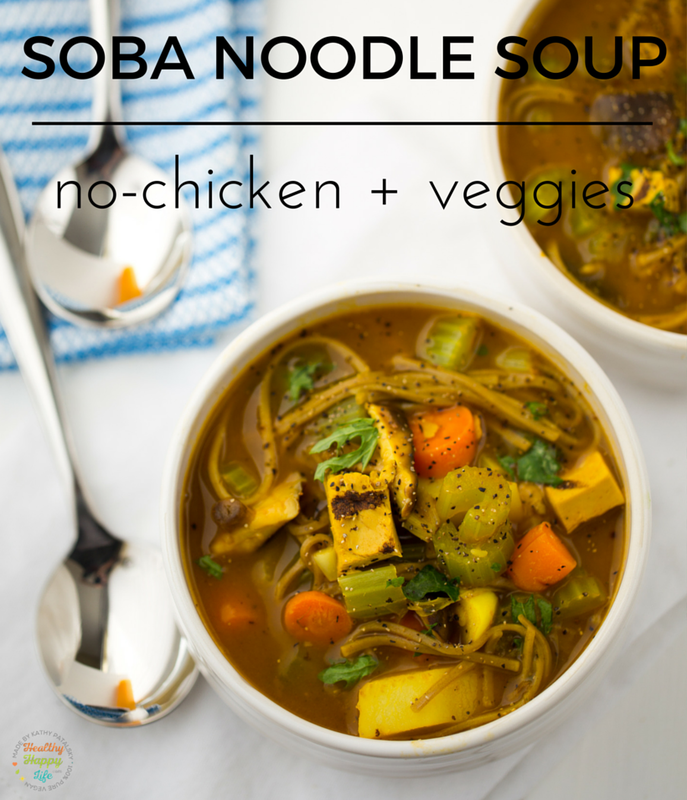 Well this no-chicken soba noodle soup is just what you crave, in a plant-based version. Recipe page 260. 16. 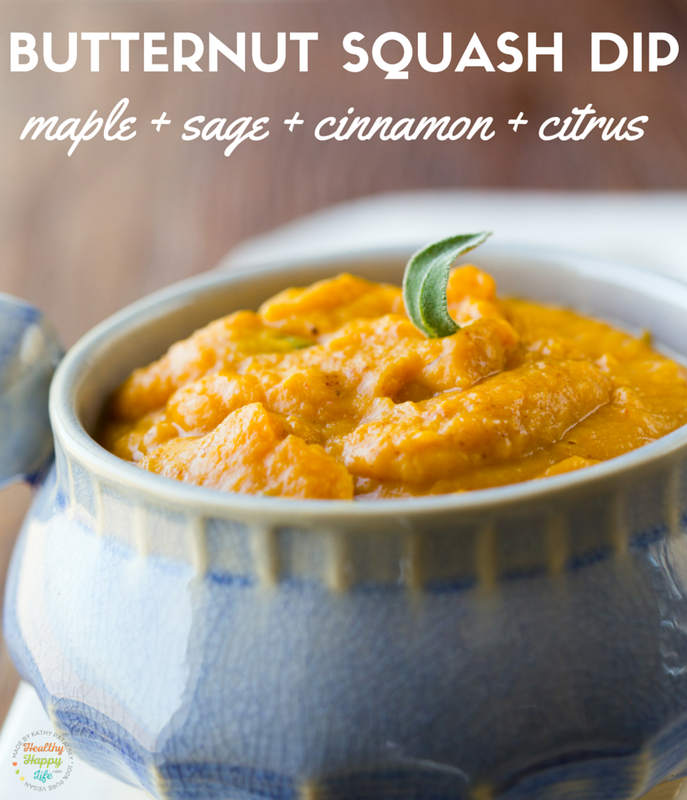 Butternut Squash Dip. This is one of my favorite dips to make over the holidays! Warming and simple to make. 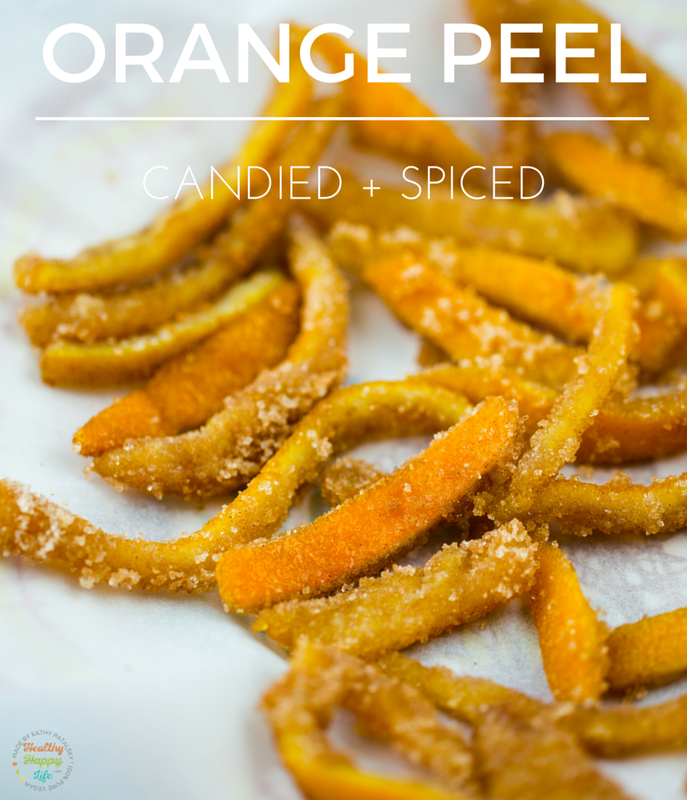 Citrus and spices. recipe page 204. 17. Mac + Cheese. 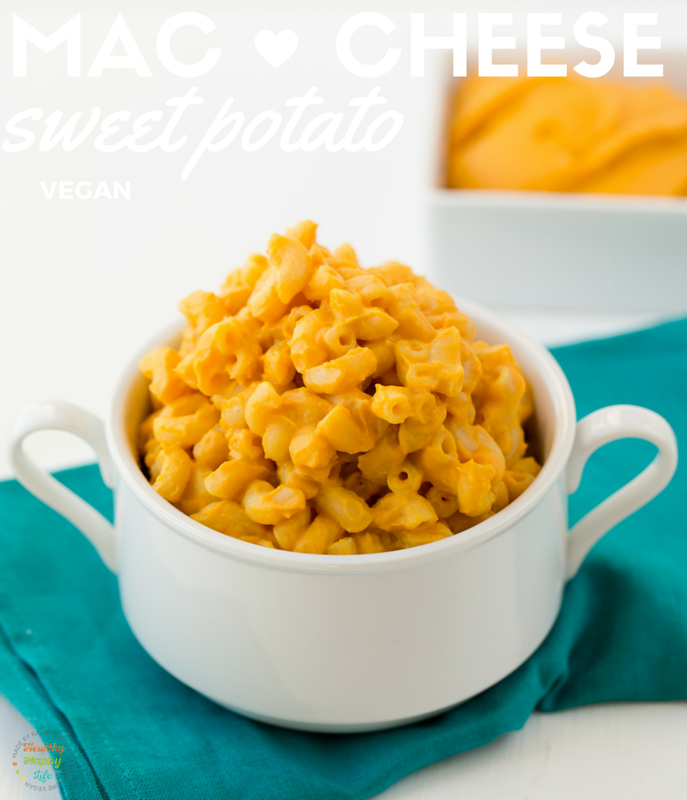 Everyone loves vegan cheesy mac! This recipe uses sweet potato, but you could easily sub with butternut squash. I love to add copious amounts of nutritional yeast. recipe page 224. 18. Turmeric Latte. 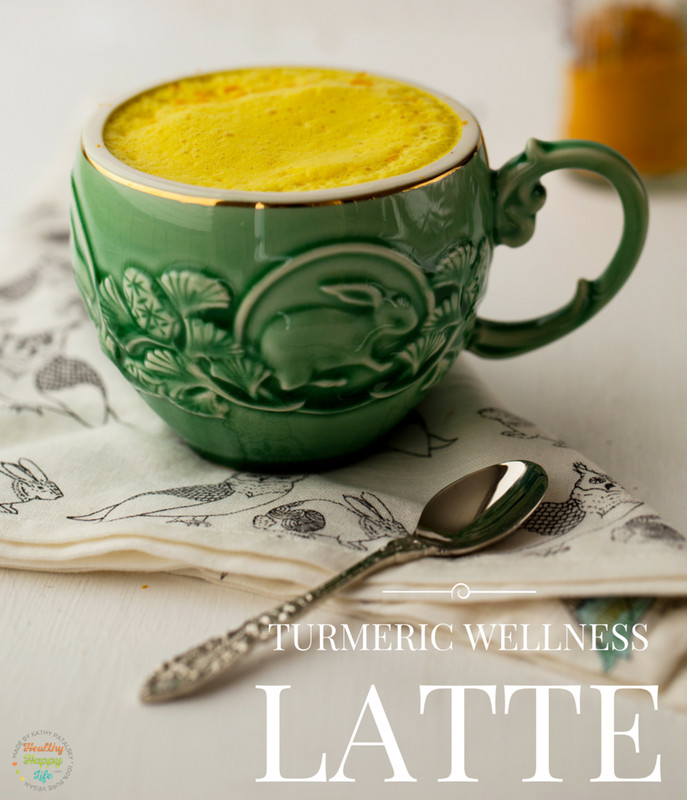 Warming and sweetly spiced, this turmeric infused, golden orange latte is a soothing alternative to coffee or tea. Recipe page 328. 19. Donuts. 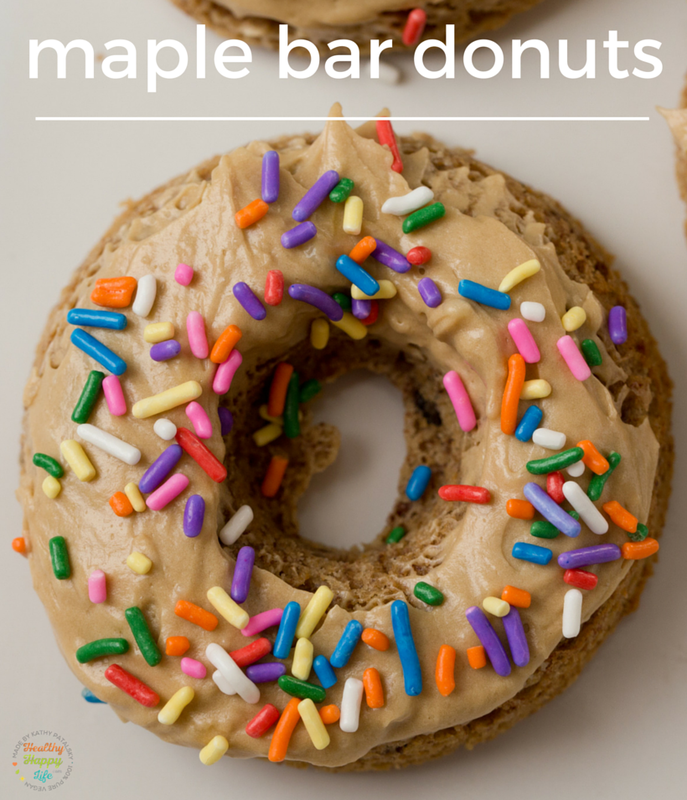 Maple-infused baked vegan donuts are delicious for a holiday brunch or tea time snack. Dessert-approved too! Recipe page 74. And finally, this yummy gingerbread cake again. Seriously, give it a try this holiday season! Instant festive mood food. recipe in the book and below! 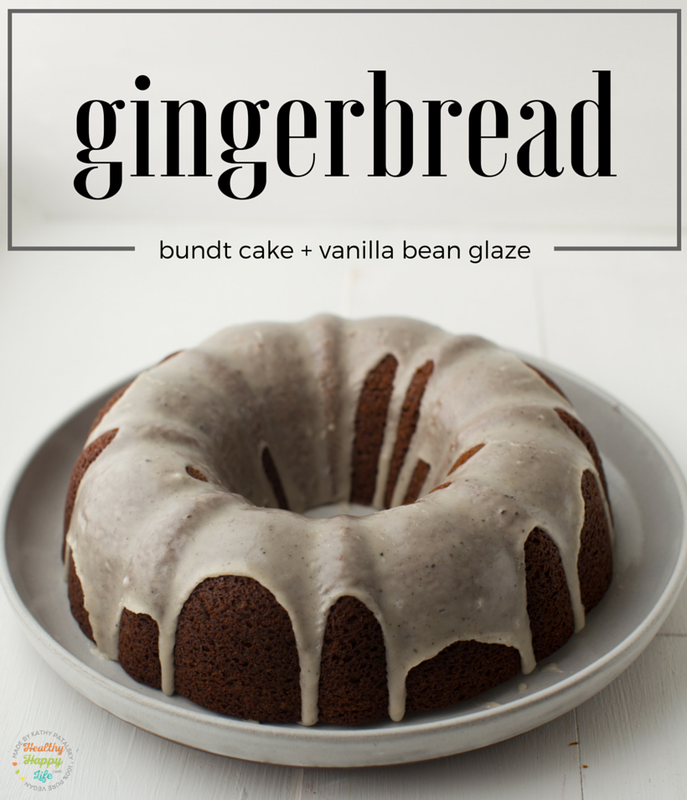 Fluffy and dark caramel in color, this spiced-sweet gingerbread bundt cake is perfect for a holiday party or gathering. The white vanilla bean glaze streaming down the sides makes for an elegant presentation of this festive, cozy treat. For the cake: Preheat the oven to 400°F. Grease a Bundt cake pan with a generous amount of coconut oil. In a large bowl, combine the flours, flaxseeds, baking powder, cinnamon, and salt. In a blender, combine the tofu, almond milk, molasses, maple syrup, sugar, coconut oil, vegan buttery spread, orange zest, orange juice, vanilla, and ginger. Blend, increasing the speed from low to high, until smooth. Add the tofu mixture to the flour mixture and fold until a silky batter forms. Pour the batter into the prepared Bundt pan. Bake for 15 minutes, then reduce the oven temperature to 350°F and bake for 45 to 50 minutes more. When done, the cake will be lightly browned on edges, and the surface visibly darkened and fluffy to the touch. Let the cake cool for 10 to 15 minutes in the pan, then carefully loosen the edges and invert the cake pan onto a plate. Let cool almost completely. Place the cake in the freezer for 1 to 2 minutes just before glazing to give the surface of the cake an extra chill. This makes it easier for the glaze to cling to the cake. For the glaze: In a small bowl, whip together the glaze ingredients. Pour the glaze over the slightly chilled cake. Serve. Store in the fridge if not consuming immediately.